British-born Banksy and French artist Invader are perhaps the most recognisable names in Street art. We explore some of their most iconic pieces. The enigmatic Banksy is in no doubt the first name that comes to mind when hearing the word street art, conjuring images of stencilled rats and kissing policeman. 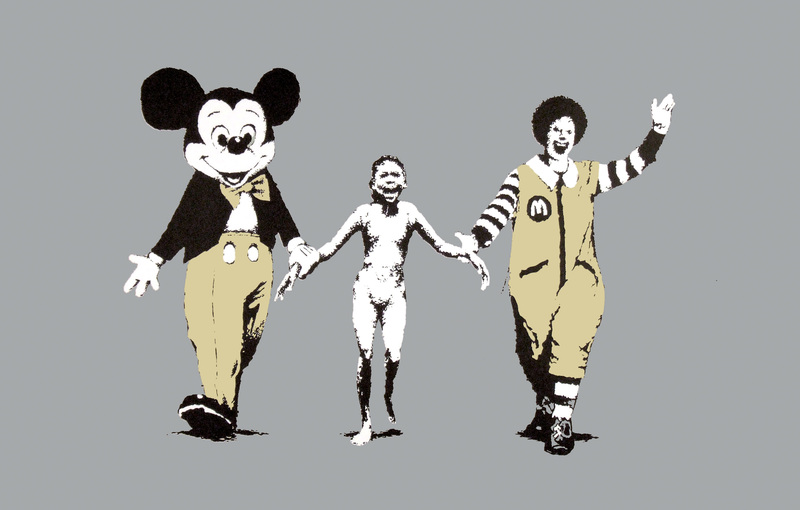 A frequent theme of Banksy's work is the juxtaposition of children with images of war. 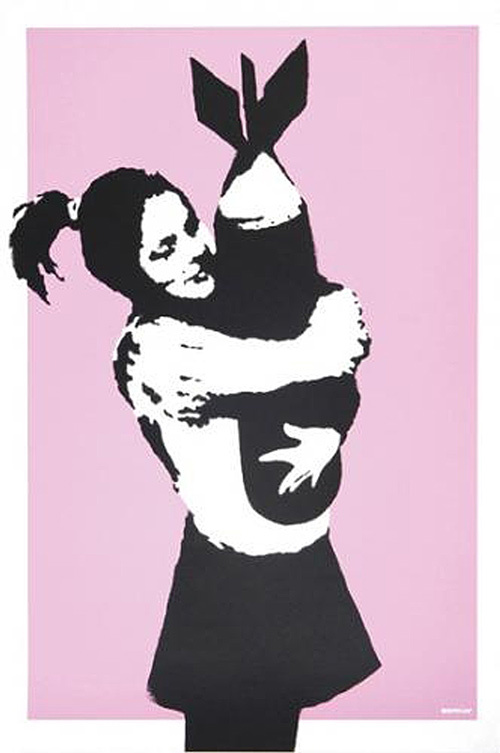 Bomb hugger which portrays a young girl hugging a bomb tight close to her chest was first made by Banksy in 2003 and appeared on a wall in the London's east end. One of Banksy's most haunting pieces is Napalm Girl, which he created the year after Bomb Hugger. It features one of the 20th century's most recognisable photographs of war. The photograph of Vietnamese-Canadian Phan Thị Kim Phúc OOnt was captured in Trang Bang by photographer Nick Ut in 1972. The nine year old can be seen running naked through the street suffering with burns from a napalm attack. In 2004, Ice Cream Bomb appeared on a wall at Brighton Beach. 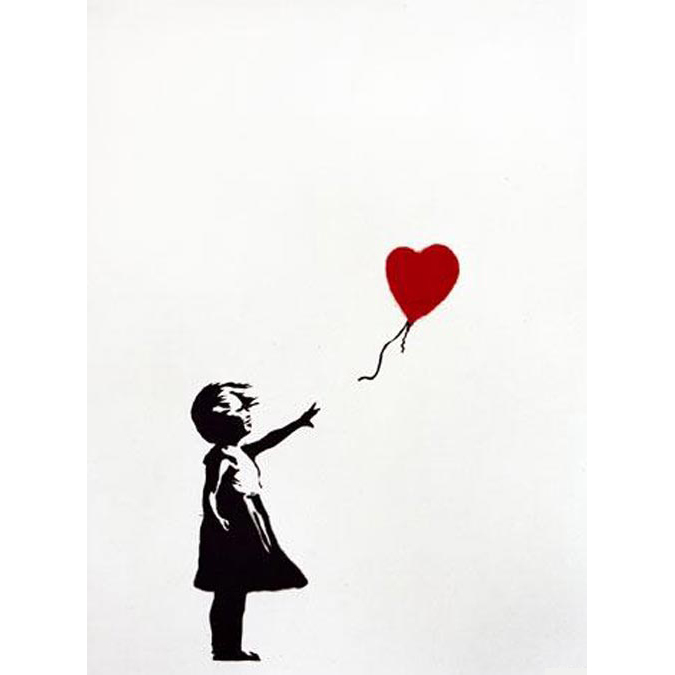 Another iconic Banksy work which depicts children and the loss of childhood is Girl with Balloon, 2004, a simplistic work which leaves the viewer pondering as to whether the child has released the balloon or she is grabbing for it. In 2014, an original of Girl with Balloon was removed from the wall of an east London shop and sold. In 2007, a version was sold at Bonhams and in 2012, another sold for £73 250. 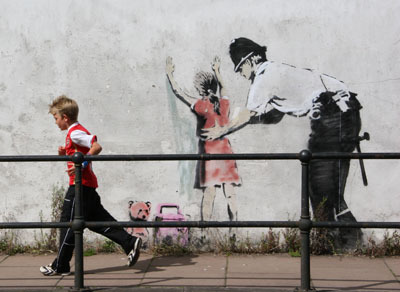 Another recurring motif in Banksy's work is the police, or ''coppers''. 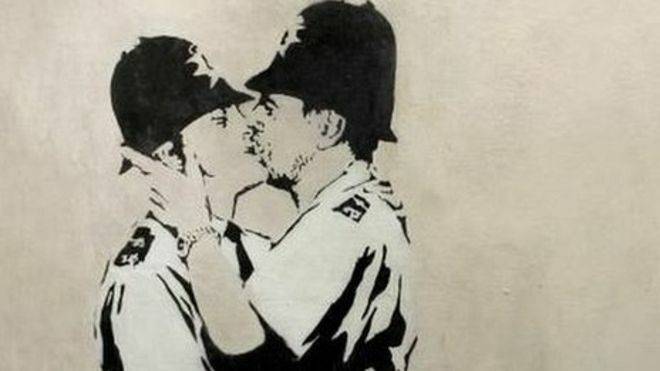 Banksy's Kissing Coppers appeared on the wall of a Brighton pub in 2004. The placement was no accident, as Brighton is of course known the world over for being one of the foremost gay-friendly cities. The work was removed from the pub wall in 2014 after several attempts by thieves to remove it. The pub owner sold it to a private buyer in Miami for an unknown figure, rumour has it, it was for around half a million dollars. 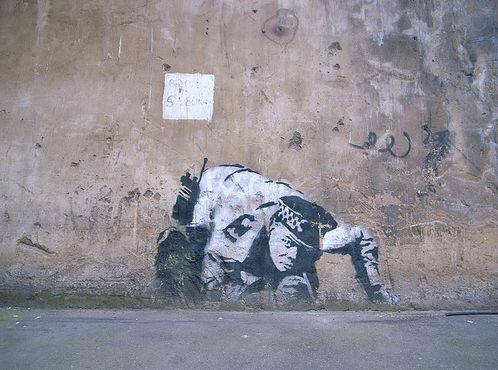 Banksy's Snorting Copper from 2005 appeared in several places around London, including behind Waterloo Station (on Leake Street) and in Shoreditch, on Curtain Road. The piece was quickly removed from public view. 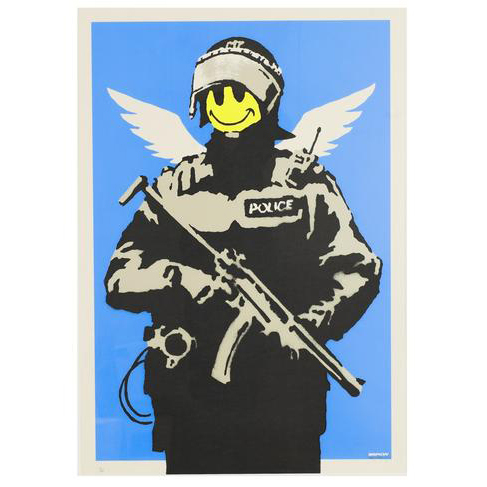 It's no secret that Banksy works sell well globally at galleries and in the sale room. 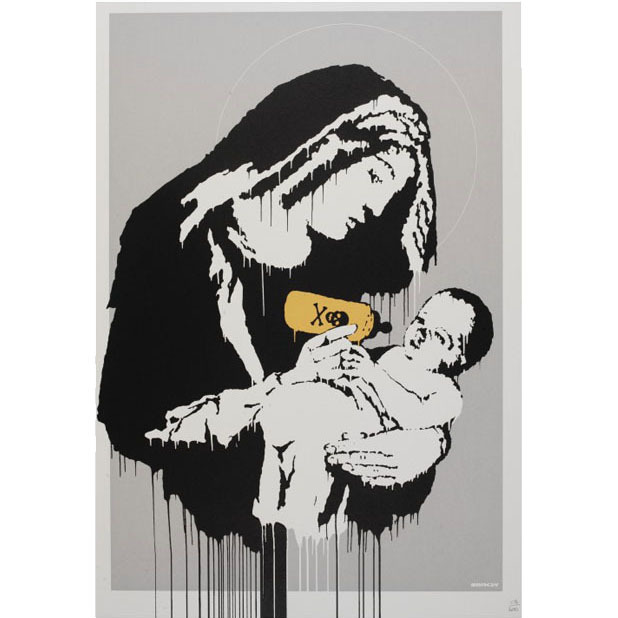 A signed version of Toxic Mary dated 2003 and numbered 33/150 sold at Bonhams in September 2011 for £4 750 inc. premium. Search realised prices for Banksy on Barnebys here. 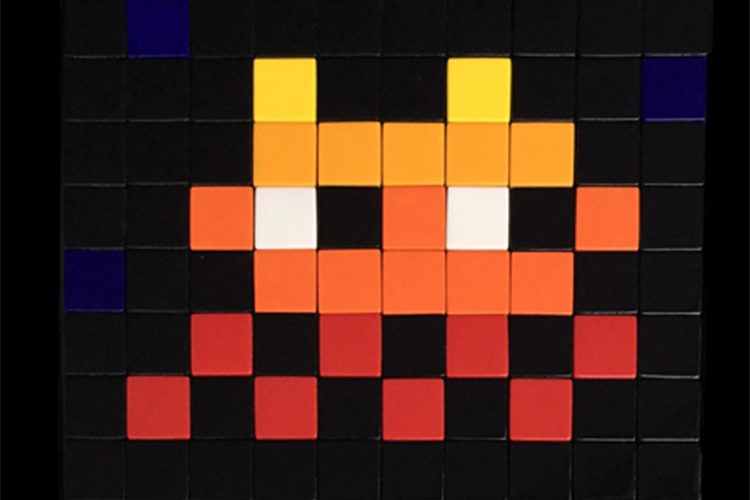 Now to our friends across the Channel, and to the master of pixels, Invader. 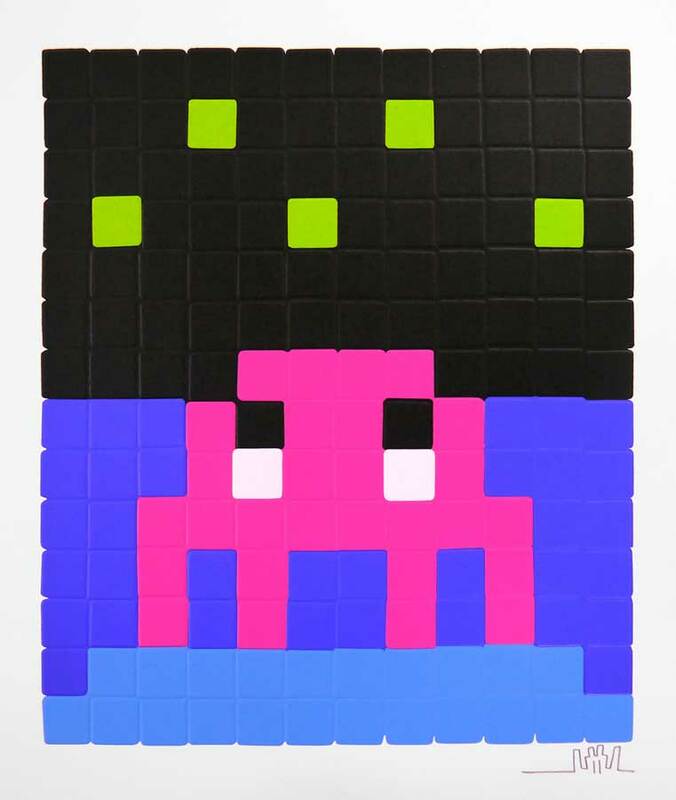 Invader is most recognised for his pixellation tiles, which are inspired by the 8-bit video games of the 1970's and 1980's, with his name deriving from the popular arcade game Space Invaders. The artist, although he works incognito, is known for his sense of humour. Although he studied at the École des Beaux-Arts, he claims he went to a tiling school on Mars, naturally. He began his 'invasions' in his home town in 1998, and since then he has gone on to 'invade' 33 cities across 65 countries including London, Manchester, New York, Los Angeles and Hong Kong. 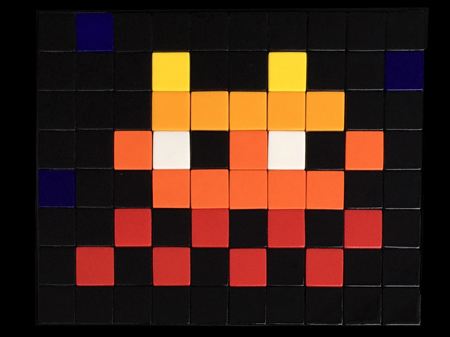 Invader gives his fans many platforms to enjoy and discover his work on, including published books and maps, as well as QR codes and an app for fans to ''collect'' and compete for how many of his works they have seen. However, he does not count the authorities as his fans, as in 2010, Invader was arrested for putting his mosaic tiles on the Hollywood sign. The highest price ever paid for an Invader work was at Christie's, Hong Kong, in 2015 which sold for £249 000 (2 680 000 HKD) more than double its low estimate. Search realised prices for Invader on Barnebys here.